Maj. Gen. Eshel was drafted to the IAF as a pilot in 1977. He replaced Maj. Gen. Ido Nechushtan. 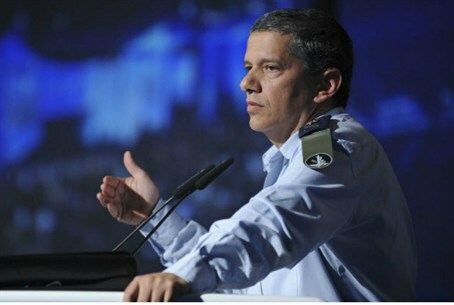 Minister of Defense Ehud Barak approved Sunday the decision by the IDF Chief of the General Staff, Lieutenant General Benny Gantz, to appoint Major General Amir Eshel as the new commander of the IAF. Maj. Gen. Amir Eshel will replace Maj. Gen. Ido Nechushtan. Lt. Gen. Gantz expressed his appreciation for the other candidates for the position. These included Maj. Gen. Yohanan Locker, the Prime Minister's military secretary. Maj. Gen Amir Eshel was born in Yaffo in 1959. In 1977 he was drafted to the IAF as a pilot and completed his training as a combat pilot in 1979. His service as a pilot began at an exercise in the Etzion Air Force base. During the course of his service as a Skyhawk pilot, Gen. Amir Eshel fought in the Lebanon War. He later served as an instructor in the Pilot Training School for two years. Maj. Gen. Amir Eshel holds a B.A. from Auburn University in Alabama and a Masters in Political Science from Haifa University from the National Security College. He is married to Avigail and is the father of Inbar, Yoav and Ori.